BARRON — The Douglas County man who admitted to kidnapping 13-year-old Jayme Closs after killing her parents inside their Barron home last year is not cooperating with a presentence investigation. 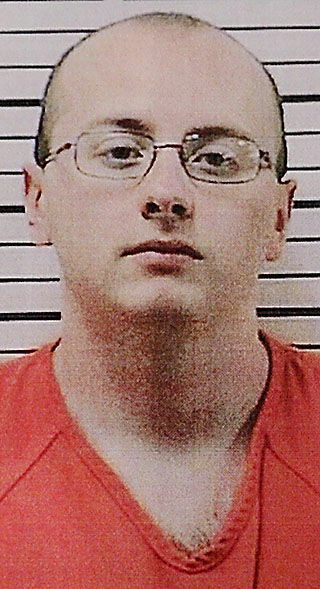 Jake Thomas Patterson, 21, said last week that he will not participate in the preparation of the report, according to a letter filed Monday, April 15, in Barron County Circuit Court. Jennifer Sem, a probation and parole agent for the Wisconsin Department of Corrections, told Judge James Babler she attempted to meet with Patterson at the Dunn County Jail on April 10. He declined to be interviewed, citing the advice of his legal counsel a day earlier. “I am still planning to complete the PSI with whatever information I am able to obtain,” Sem wrote in her three-sentence letter to the court. Presentence investigations are nearly always ordered in serious felony cases in state and federal courts. While the reports can play a major role in the judge’s sentencing decision, the process is not particularly well-known because it is cloaked in secrecy. Presentence investigations generally contain a biography of sorts — using interviews and documents to provide background on the defendant’s criminal history, childhood, family, relationships, employment, health, chemical dependency issues and more. For that reason, the reports remain confidential and copies are only provided to the judge, prosecutors and defense attorneys. The investigation typically involves an interview with the defendant, though there is no requirement to cooperate under Wisconsin law. Patterson told police that he fatally shot James and Denise Closs and abducted Jayme from their home in the dark of night on Oct. 15. He did not know the family, admitting he planned the crimes after seeing the girl get on a school bus a few weeks prior. Patterson was arrested Jan. 10, when Jayme escaped his Gordon home and ran to safety after 88 days of captivity. He pleaded guilty March 27 to two counts of first-degree intentional homicide and one count of kidnapping. Patterson faces a mandatory life sentence, though it remains to be seen whether he will have an opportunity for parole. In entering the pleas, Babler advised Patterson that he will need to serve, at a minimum, 20 years in prison, and could be sentenced to as much as two consecutive life terms plus 40 years. Sentencing is scheduled for May 24.